Dressed-up or Dressed-down, with a slouchy T-shirt or a white crispy shirt, the denim trousers are the most essential piece of garnment in every wardrobe. Created by Levi Strauss and Jacob Davis (one of Strauss’ customers) in 1871 as a new style of work pants, this garnment has truly passed the test of time, and although the fashion trends for 2018 seem to be shifting towards a more tailored look, with suits, dresses and skirts being the protagonists (according to the trend forecaster giant WGSN), the denim business will never disappear. 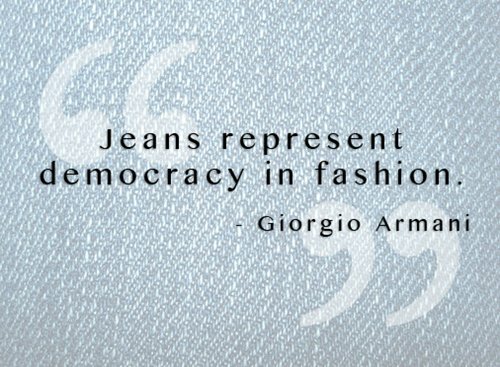 … But WHY are Denim Jeans so popular? The number 1 reason is VERSATILITY. Darker colours offer a more formal appearance that enhances a dressier look. 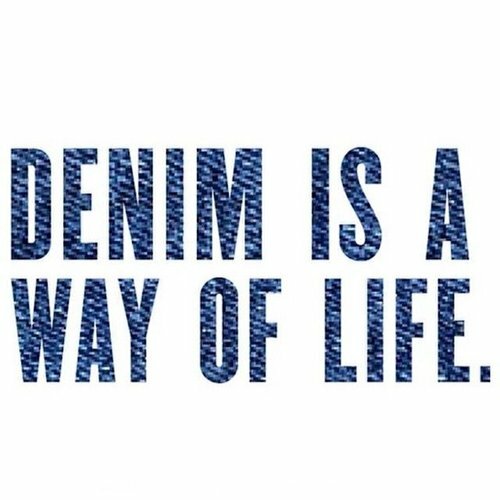 But whether you are attending a business meeting or just running errands, you can’t go wrong with a pair of jeans. Their versatility is simply unrivalled. However, as for everything, one type won’t fit all, and you should always take your body shape into consideration to make sure that the jeans you buy makes you look your BEST. 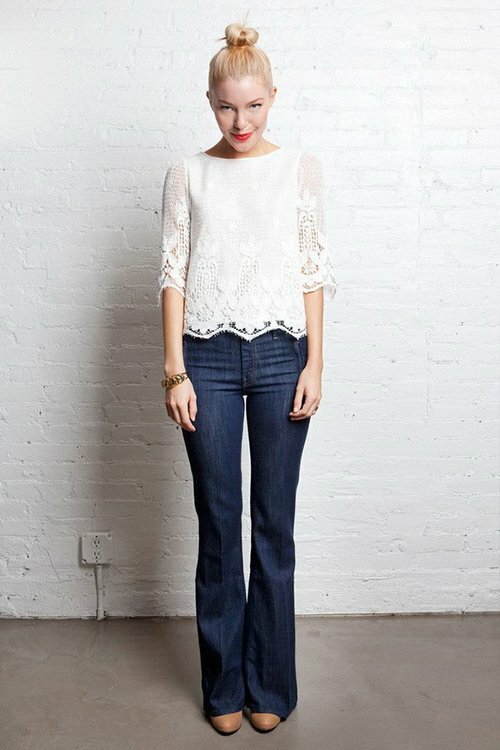 If you are a PEAR shape you should go for a Bootcut or Flair style. 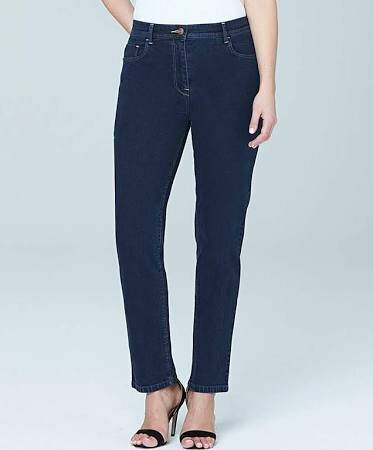 Initially designed to be worn with cowboy boots, the Bootcut style is narrower at the waist and wider at the bottom, which helps to create elongate the leg creating a balanced style that will flatter your curvier area. If you are an APPLE shape your legs are bound to be your best asset, choose therefore a Straight Leg fit. This classic skinny model, straight and slim, will help you show off your assets without making the middle-area look heavy. If you are a Rectangle shape you may want to create more curves, and since this body shape is often associated with very sporty and fit ladies … any shape would suit you. If you want to show the curves that you DO have already, you can opt for a pair of Skinny Jeans, however, f you want to add more curves opt for a pair of Flared Jeans, low to mid waisted. 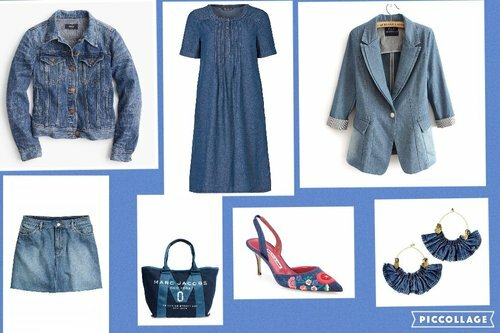 As time went on and fashion evolved, the denim material also began to be used for an array of fashion items; from the classic denim jacket and skirt, to blazers, dresses, shirts, shoes, handbags and even jewellery. 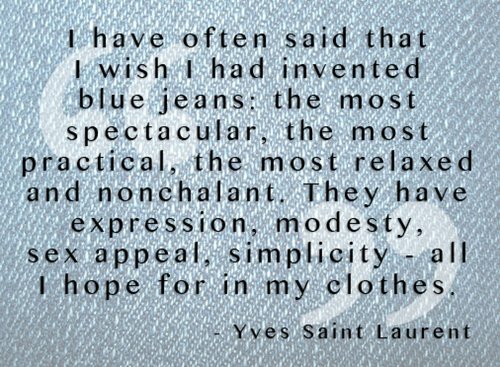 No matter the season, the shape, the colours, the styles that have been and will come … when Mr Strauss had created the first pair of “waist overalls”, nobody would have ever imagined that the denim and the jeans were bound to become the trendiest and most sold piece of clothing of all times.